Welcome to the fourth installment of “Tales from the Wild Ride”, the story of the 2010/11 Jupiter/Uranus conjunctions’ impact on a group of ‘ordinary’ lives, which will now unfold on a regular basis until next Spring 2011. Finally got new lawn mower put together and grass cut. Plumber came to repair sink in apartment. Cost: $300. Alan’s computer in for repairs again. Woke up with a severe upper-left jaw pain…lasted two days. Called Cardiologist for appointment. Started an upper respiratory infection…head cold and coughing that lasted about two weeks. Had to carry on normal activities although I felt terrible. Alan called me at 7:00 AM to tell me the ceiling fan in his living room had come loose and fallen during the night and was hanging by the cord. I couldn’t get in touch with my regular repairman, but did find someone to come and repair it later in the day. By this time I was beginning to feel like Job from the Bible. I finally turned in my resignation form to my job of 10 years. In May, I had moved out of my apartment of 10 years as well, in preparation for a temporary move to Las Vegas. My former apartment manager told me to come pick up my deposit refund check. I was hoping it would be at least $500 but it turned out to be nearly $1350! That unexpected money was going to be a help in paying for my education program tuition of nearly $3000. On June 12th I was introduced to a very intriguing man. He was very smart and that made him very attractive to me. I left so my friend and I could go to a party. We got separated and I left the party and he was walking by as I exited the building. We began chatting when my friend was escorted out in a headlock and nearly arrested. We took her home and shared a cab ride. After exchanging numbers he called me and we hung out a week later. He has not contacted me since. I admit, I was pretty much obsessed with him for a good two weeks after, wondering if I did or said something wrong. But I kept reading that the eclipse energy that hit my heavy Capricorn/Cancer chart was removing things from my life that weren’t for me so I finally let it go. 1-7 June 2010 Still on vacation till the 6th. I Got a virus on my computer June 1st and I bought my Apple IMac on June 2nd. I had been planning it for a while but the virus was the catalyst that sent me to the Apple store. I spent the remainder of the week getting used to my new operating system. June 7th was my first day back to work, very traumatic after a peaceful two weeks off. 8 June 2010 (the conjunction day): Nothing special this day. 9 -15 June 2010 Very hectic at work. June 9th my cousin called and told me that my 84 year old aunt started to hallucinate and has been calling my both cousins ranting crazy stuff. We wanted to take her to the emergency room but she didn’t want to go and wanted to wait for her doctor’s appt. the following Friday. All seemed ok until June 17th when she called me, frantically hallucinating. I called my cousin to stay with her, she wasn’t much better, so we decided to take her to the ER to rule out stroke or brain tumor. The ER released her and said it was mental rather than physical. She spent the weekend at my house until my other cousin from the west coast of Florida came over to stay with her. I found the first week in June very peaceful and the second week all hell broke loose. Both work and my personal life were in overdrive and I had minimal sleep and was definitely running on empty. I also had a huge blow up at work on the 18th and carried over to the 21st which I will get into on our next installment. B) 1-7 June 2010 I noticed a lot of frenzied energy among my circle of friends in my normally sedate women’s poetry group. An awful lot of bad health news among friends and acquaintances, including one shocking death of a Native American doctor who had “gone over to the dark side”. C) 8 June 2010 (the conjunction day): I had a totally normal day going to the Bookmobile library where everybody was enormously and unusually social -despite my fears of driving there. D) 9 -15 June On the 14th, I decided to abandon Septra and revert back to my homeopathic traing and do homeopathic treatment for myself. Lots more bad health news among friends and good news from granddaughter. An extremely signifiant death of a friend on the 16th outside the dates given. period b) Choked up with work, not enjoying it though – mixture of stress and boredom. People won’t pay invoices on time, everything seems to be a hassle. Strong feeling that the enjoyment has disappeared from my work though the interest in the subject if anything is growing stronger. Happy to read and browse the web for inspiration – practicalities of work seem prosaic and mind-numbing. All comments/shared experiences most welcome! If you have enjoyed this installment of the Tales from the Wild Ride, it would be great if you could send the link around your networks, so that as many people as possible can follow the series and see ‘astrology in action’! This entry was posted in Tales from the Wild Ride : Jupiter/Uranus 2010/11: Real Lives in Action Parts 01 - 6 and tagged "Jupiter meets Uranus", 14-year Jupiter/Uranus cycle, 2010/11 Jupiter/Uranus conjunction, AFA Newsletter, Amazon.co.uk, American Federation of Astrologers, Anne Whitaker, Jupiter-Uranus conjunction in Aries June 2010, Jupiter/Uranus conjunctions in Aries and Pisces of 2010/11, Writing from the Twelfth House. Bookmark the permalink. 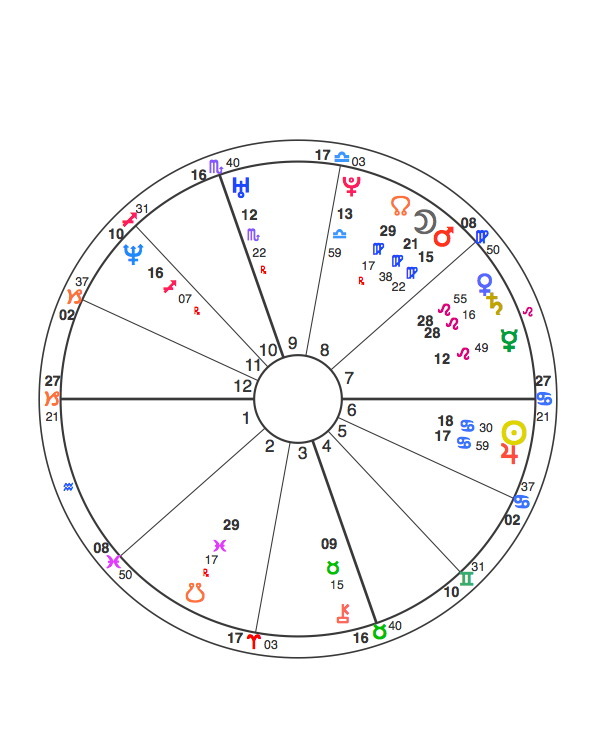 t’s very interesting to see the pattern that I always feel in my own life, and in the life of those I look at their charts. People with personal planets around 22-25º mutable signs are now culminating/finishing the life changes that started a couple of years ago. 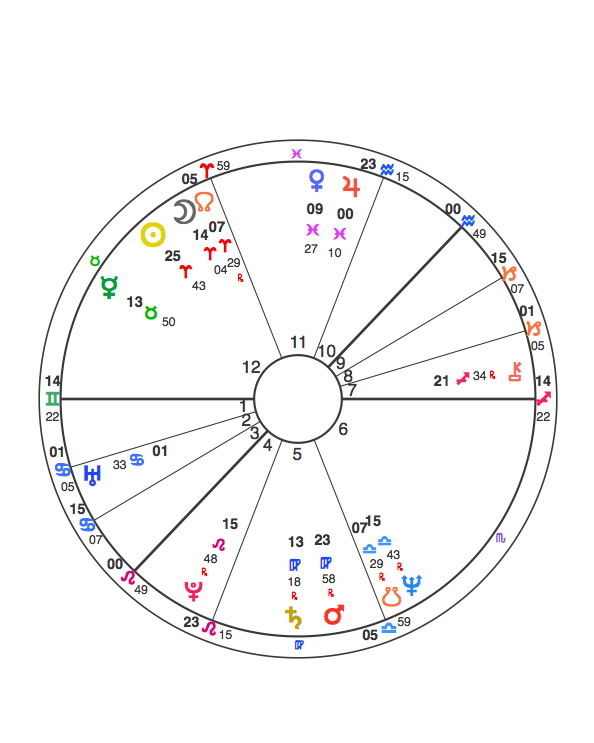 This is the case of Maria (32) with Moon at 22º Virgo, that resigned her job, and also more or less my situation (Sun at 25º Sag). People with the personal planets at the cardinal cusp, like Eve, 29º Pisces, are having the “all hell breaks lose” when something in our life does not work well and requires change. It’s the phase when we become aware that changes must be done. Barbara, with 4º Cancer Mars, are only now starting to feel the increase in sudden changes (like her health/house problems). 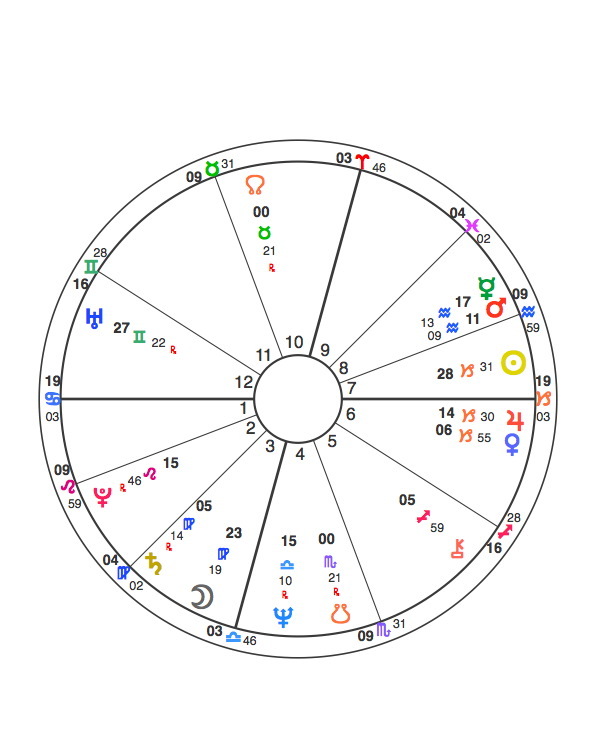 It’s also interesting that some of them reported the most changes by around the solstice date, because it was at this week that transiting sun triggered the cardinal configuration in their charts (this often happens with me too). 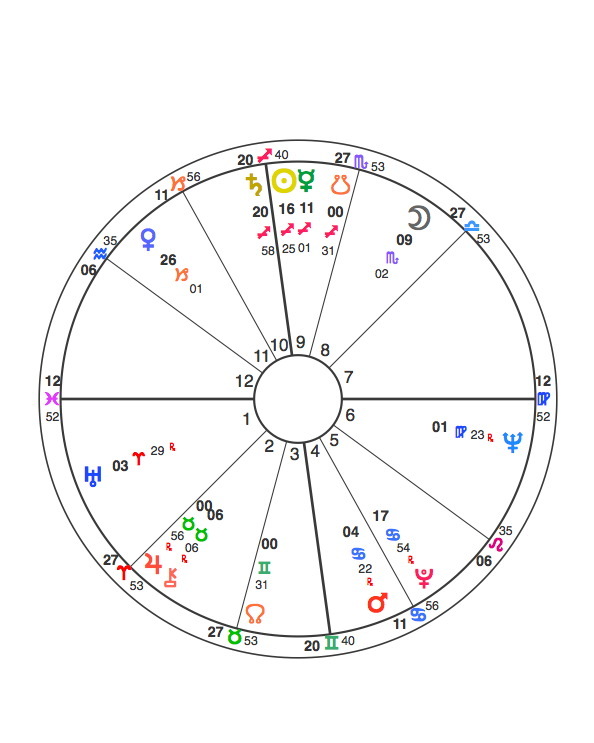 I have been meeting many people with natal Sun in early cardinal signs, and yes, you can watch them so clearly that they are ON the storm, or otherwise coming very close to it……. 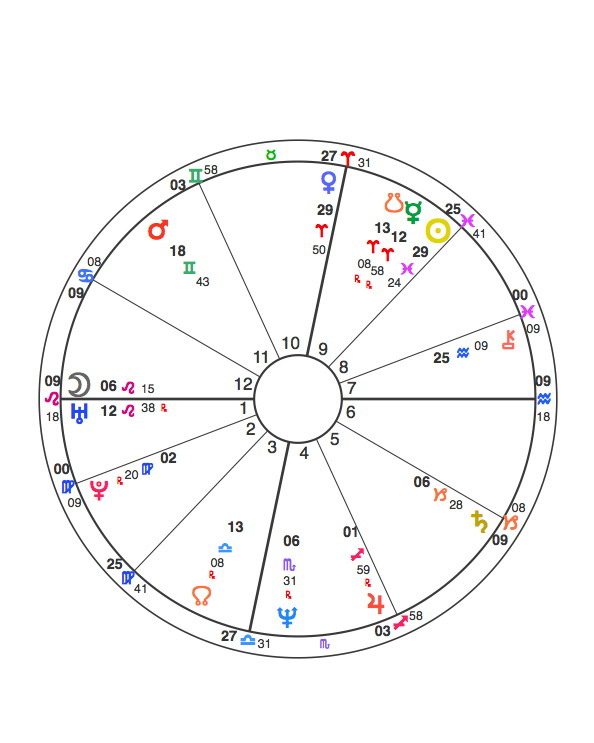 This is the astrological “common knowledge” of a transit progressing in and out of orb, but it is still interesting to see it playing in such a clear manner in real life stories! thanks for this interesting perspective on the lives we are studying – I too love seeing how a particular combination responds unfailingly to “the music of the spheres”.